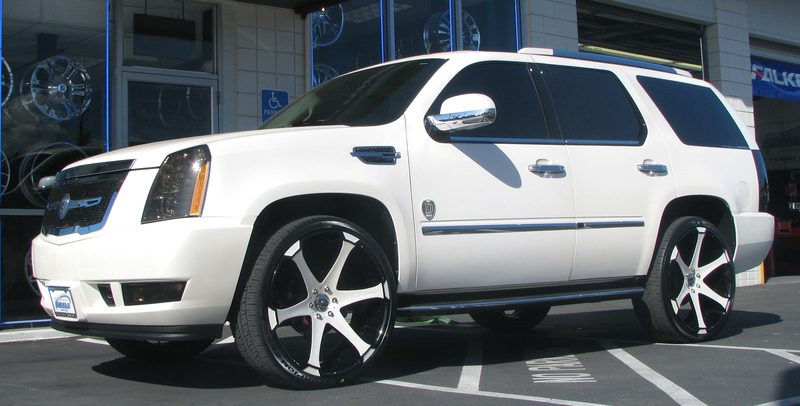 This is Vernon Davis’s 4th car on our website. This guy really loves fixing up the cars he buys. 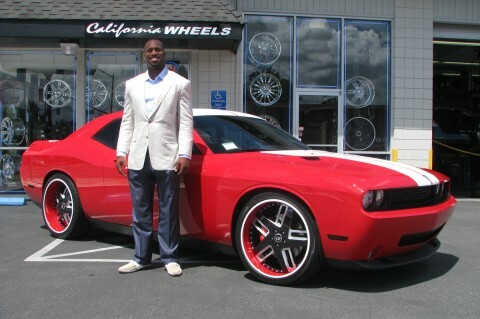 Here he is standing infront of his 2010 Dodge Challenger SRT8 customized by California Wheels. I would be smiling too if I was standing infront of this beast of car. This Challenger is staggered on 22″ Forgiato Veccio wheels, 22×9.5 and 22×11. The center is painted white and black and the lip of the wheel is red with a white pinstripe. It has an Eibach Pro kit, Angel Eye head lights, painted rally stripes, mirrors, and a body kit. The inside has a nice suede headliner and all the windows are tinted. I absolutely love when atheletes represent their team colors with their cars, its a sign of loyalty. 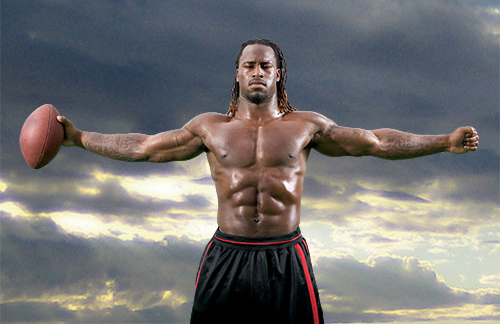 Here Vernon makes the red and white of the 49ers look good on this Challenger. Thats a little too much paint work on the wheels but it still works. 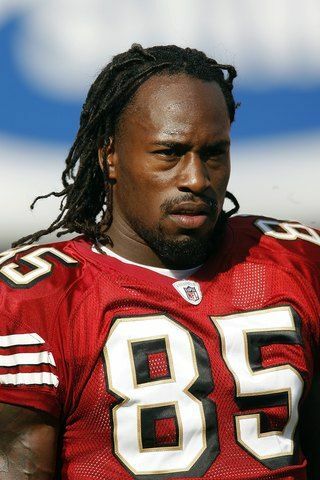 Vernon Davis, the tight end for the 49ers went to Cali Wheels to get his Black Mercedes-Benz S63 customized. They hooked him up with 22″ Staggered Lexani LSS-10 (2-Tone) Wheels. Some other modifications done to this car include ; Lowering, ECU Tuning, Custom painted calipers with AMG decals, and after market CL grille. Fitment looks good, wheels look good. Very impressive. Most people usually put expensive 3-piece wheels on really expensive cars like this. But why not put 1 piece cast wheels like Lexani, when you can get it to look this good.